Augat transistor socket. 3 pins, PC mount. PTFE, gold plated pins. Polarization notch. Body diameter: 0.370", pin circle: 0.395" diameter. Augat transistor socket with flange. 4 pin. Flange width: 1.5" end to end, 1" center to center holes. 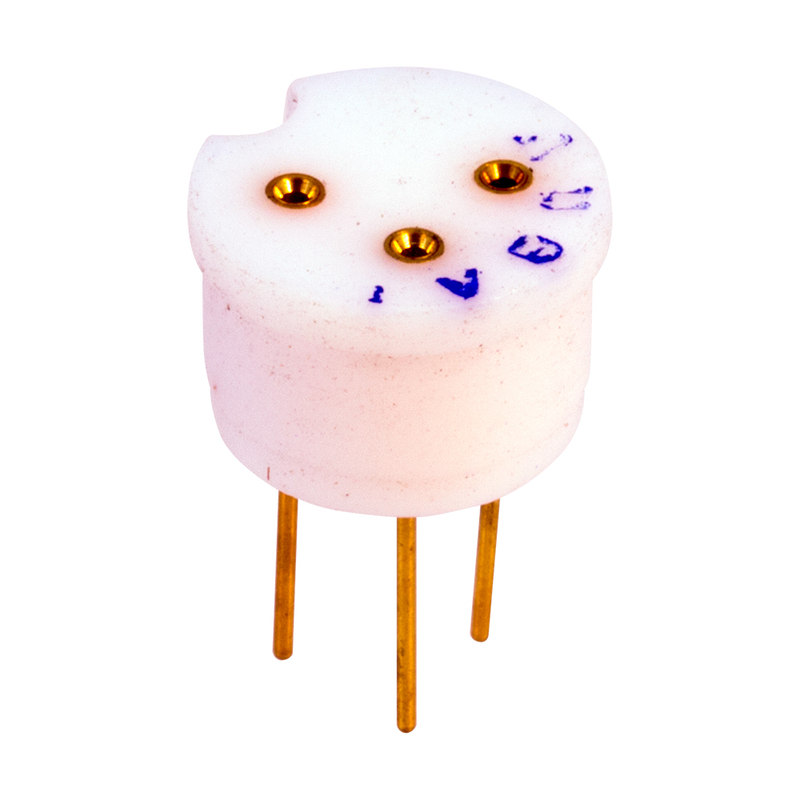 Socket body: 0.25"H, pins 3/8"L.
Amphenol transistor / nuvistor socket. 4 pin. Mounts in 3/8" diameter hole. Augat transistor socket. 6 contacts, PC mount. PTFE & gold. Polarization notch. 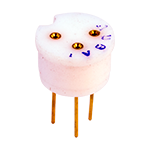 Pin circle = 0.406", body diameter = 0.373". 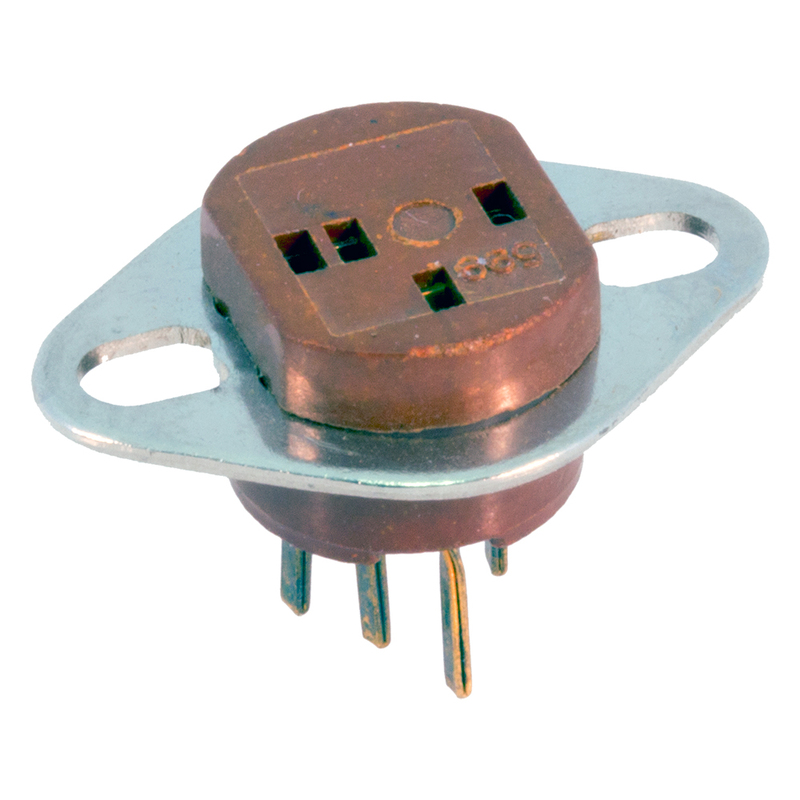 Augat transistor socket. 12 contacts. PTFE. PC mount. 0.373" diameter body. 0.385" diameter pin circle. 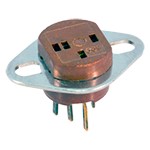 Augat TO-3 surface mount socket. Metal inserts, eyelet terminals. TO-3 phenolic socket. 1" x 1-3/8". Brand stamped on back "VID". Transistor socket. 3 in a row. PC mount. 7/32" wide across all three terminals. Augat transistor / nuvistor socket. PC mount, gold pins. 4 pin; center pins combined to one foot. We have over 20,000 in stock.